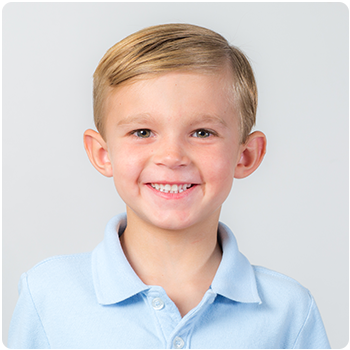 Westover loves his dogs, playing soccer and making his parents, big brother and big sister laugh. When he was diagnosed with Type 1 Diabetes in April 2018, his family took him straight to El Paso Children’s Hospital. Little things are a big deal to a five-year-old. Night light stars, TV with on-demand movies and a visiting service dog provided needed distractions from the sudden change in lifestyle that came with managing diabetes. Knowing there is a hospital in El Paso dedicated to children with pediatric specialists has provided the family continued comfort!